Handling an egg carefully is crucial – if you accidently drop an egg – discard it or use it for eating – don’t attempt to hatch it. Keep them out of the sun and collect your eggs daily so they are not getting knocked around in the nest by other clumsy hens. Eggs need to be stored pointed end down (Blunt end up), in a room with a stable temperature, the cooler the better, but not refrigerated. (Approx 10 to15 degree's c is fine) Humidity is also important, not too dry or eggs can lose weight (Moisture) Humidity during storage needs to be around 50% or as close to this as possible to avoid significant drying out of the egg before incubation. Choose your hatching eggs carefully, choose eggs of good shape, size and quality - Choosing miss-spelled eggs such as eggs with crinkly shells, odd shaped eggs – long narrow eggs or extra large (Possibly double yoke eggs) is a no go. Ensure you check eggs for cracks – even the smallest hairline crack will result in failure 90% of the time. 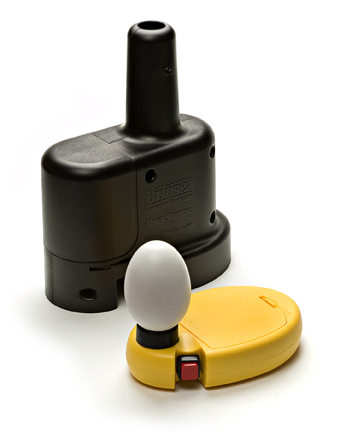 A good quality egg candler will show up even the smallest of hairline cracks, like Brinsea’s OvaView LED egg candlers – if you want to get really technical, Brinsea also produce an OvaScope to fit their candlers – the OvaScope can be used in daylight and has the added advantage of magnifying the egg so you can see every little blemish. These are great for monitoring embryo development too. 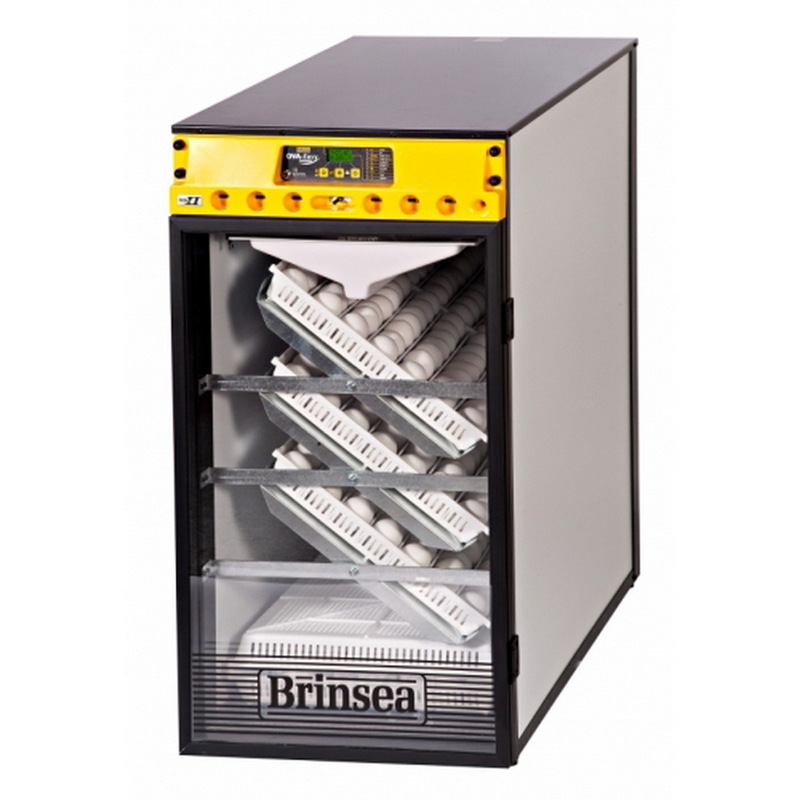 Brinsea has an upgraded OvaView “High Intensity” Candler for use with very dark shelled eggs such as Araucana and mottled eggs such as Quail. Don’t use cheap electric candlers, or if you do – be very very careful to follow the instructions. Many of these torches produce excessive heat and the heat given off the torch can burn vital blood vessels and in-turn endanger the developing embryo. It's important to remember that in natural circumstances eggs warm up quite slowly. Incubators often warm up quickly, so if placed in the incubator immediately the egg could suffer thermal shock. 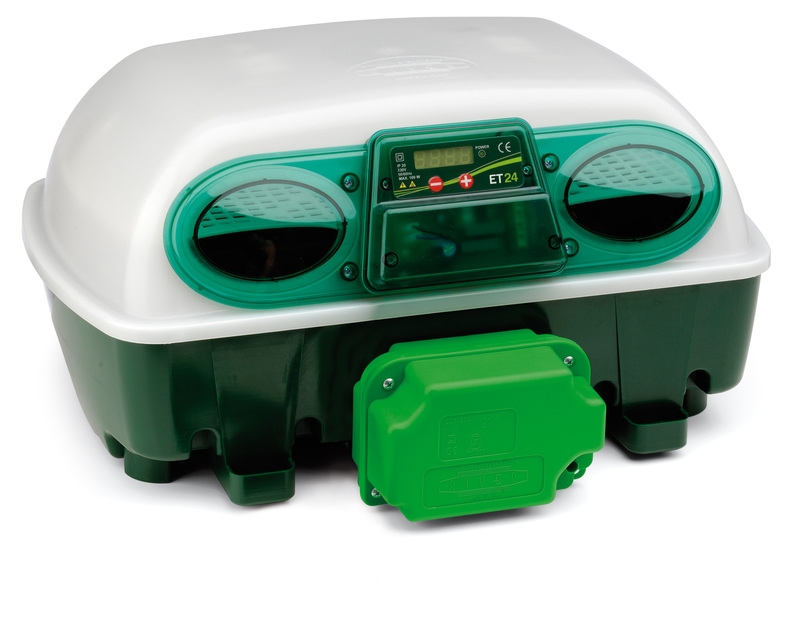 Incubator Quality, Conditions and Hygiene. A good quality machine is run and tested ex factory. 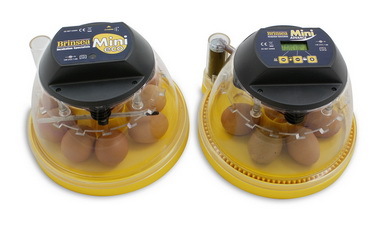 If buying budget incubator – run it up and test for an bare minimum of 3 to 4 days before setting eggs. It is amazing how many stories we hear of incubators failing after just a few weeks, which can be absolutely heartbreaking - especially if you have paid good money for brought in eggs. (See here for details on Unsafe incubators) This said, we recommend if you are buying eggs in and you are running your new machine for the very first time, wait for your machine to arrive and run it up before ordering your eggs. (This goes for all machines, including high quality units such as Brinsea) This way you can be sure your new machine is spot on before spending hard earned money on eggs that can turn bad if a machine is faulty (Eggs don’t remain fertile for ever). When investing in a new machine – please be sure to test it well and truly before buying eggs in, even better – try your first hatch with some eggs from Farmer Joe down the road, Nothing wrong with a few good old cross breeds who are running around with some random old rooster, at least the eggs won’t cost you anything or at worst $6.00 for the dozen. So a cheap test run for you and good practice to get started. 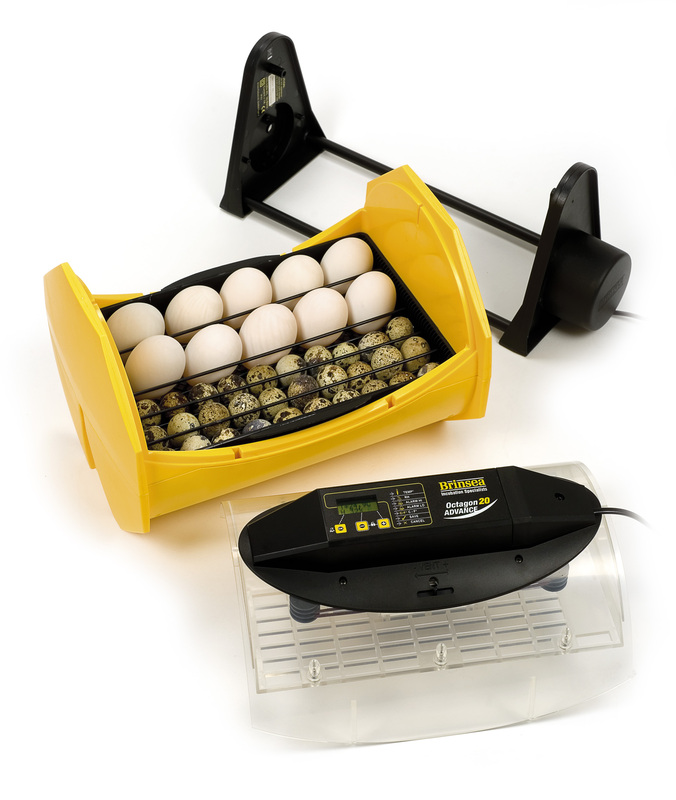 Cleanliness is crucial – Your incubator needs to be cleaned with a suitable disinfectant between every hatch. 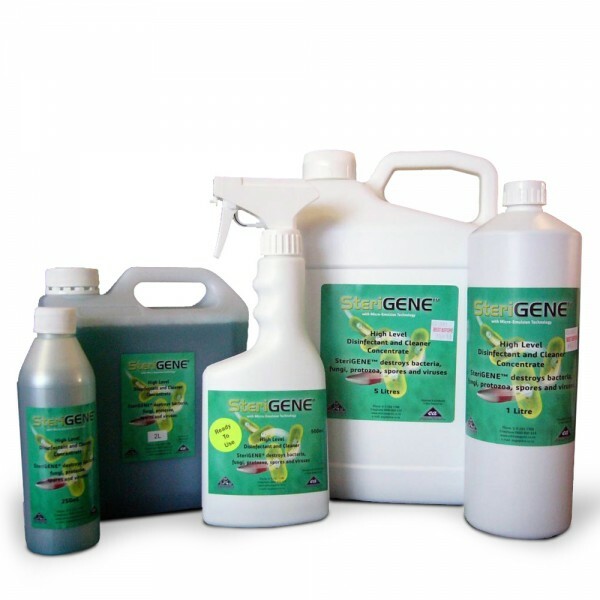 We stock a very simple to use and pleasant smelling disinfectant concentrate which is designed specifically for vet use. so great for egg and incubation cleaning, its not harsh on the eggs, kills all major harmful bacteria and will not damage the plastic or materials incubators are made of. Or for the more serious breeders, we also have Incusan available in larger 5L containers. Be sure whatever you use isn’t going to damage the plastic or metal components of your machine. Run your machine empty to dry it out for several hours after cleaning is also a good practice (And a must do at the end of breeding season). Eggs also need to be clean, but not necessarily washed. Try not to wash eggs if they are dirty, obviously we don’t have a choice sometimes, so if you need to wash – use a purpose made product such as Incusan or SteriGene disinfectant. Soaking eggs in a room temp water solution (Eggs should also be at room temp, or slightly cooler for storage) for approx 15 to 30 seconds will loosen organic matter, making it easy to remove – take care not to wipe eggs, just dab them with a soft sponge – Wiping can remove the eggs natural protective bloom. Another way to remove dried on matter is to use very fine sandpaper, gently rubbing the dirt off, but taking care not to scratch the surface of the egg. Feeding a correct breeder feed is essential. Most common feeds are aimed at hens producing eggs in large quantities, so the feed isn’t actually designed directly for hatching eggs or the health of the emerging chicks. We are lucky in here in Canterbury with a vast range of feed manufacturers – our personal favourite is Weston Milling (Now also available from our North Island Store), who makes a very good layer pellet (Peak Layer) which we use all year round for our layer stock. 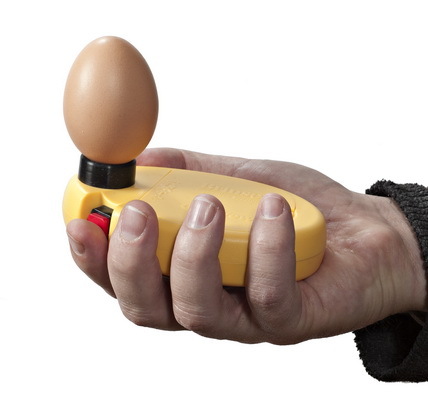 This is great for plenty of eggs, but when wanting to hatch our eggs, is still not quite enough. Poor nutrition is one of the most common causes of poor hatch rates. Your feeding programme for your breeding stock is essential for strong and healthy chicks - A majority of breeders will lock-up their birds for breeding season in smaller pens, so unfortunately they are not wandering around eating grass, grubs etc etc. • Vitamin A – Sources of this vitamin are in green feeds, yellow vegetables, maize and synthetic compounds. The vitamin can be easily destroyed by light and heat. A lack of this vitamin is a common cause of poor hatchability, weak chicks and poor disease resistance. • Vitamin D – The raw source of this vitamin is in sunlight. Chicks kept indoors will need supplements. A lack of it causes week bones that will bend and deform. Also eggshells may become deformed; resulting in complications of the chick’s use of shell calcium that in turn makes moisture loss in eggs difficult to control. • Vitamin E – The source of this is in seed germs – i.e. wheat. A deficiency results in poor hatches of chicks that are weak and do not thrive. Most deaths occur due to circulatory failure in which the walls of the blood vessels are ruptured. • Vitamin K – This can be found in most green feed. A gross deficiency will cause haemorrhages over the body of the chicks. In eggs, deaths may occur in turning due to severe bumping or sudden jarring. Further sources of vitamins and minerals are found in meat meal, blood and bone meal, dried milk solids and yeast extracts. Natural Un-filetered Cider Vinegar (ACV), Garlic, Seaweed, Molasses & Honey - natures' nutrients! All of these natural products are proven to be extremely beneficial to the health of all animals. Garlic contains sulphur compounds, amino acids, germanium, calcium, copper, iron, potassium, magnesium, selenium, zinc and vitamins A, B1 and C. Honey ~ Which has a unique hydrogen peroxide antibacterial activity. Seaweed provides a whole range of vitamins from A through to M (Folic Acid), so essential for the efficient digestion and metabolism of the diet. Seaweed also contains up to 20 minerals. 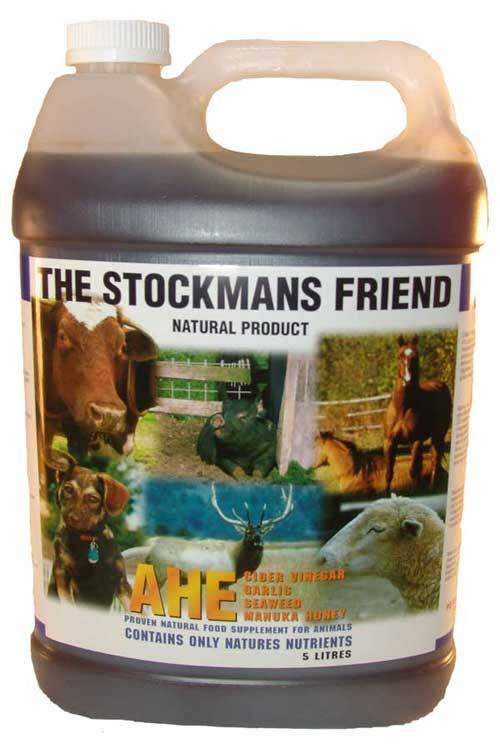 We have many of these products available in concentrated forms, such as Stockmans Friend AHE which can be added to their drinking water. Last, but by far not least is Genetics. DO NOT hatch from birds that are sick or poorly – All you are doing is producing future generations of weak offspring. Choosing the best birds possible for breeding is crucial. Even if you are just hatching a few cross breeds or replacement layers for your flock. Lookout for defects in your birds, this includes your breeding rooster. Final note, There are many books available (check our library here) and information on the web about what we have covered in this newsletter – but hopefully we have summed up the basics for you and given you enough to think about for now. Brinsea's UK Website has some fantastic information and free downloads including this Incubation Handbook.